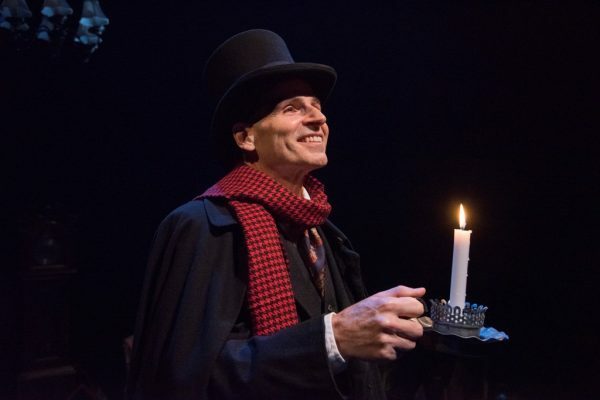 A Christmas Carol: A Ghost Story of Christmas – Paul Morella’s unique solo performance of Charles Dickens’ classic tale – returns for its eighth Holiday season at the Olney Theatre Center. The one-of-a-kind adaptation showcases the versatile Morella, who plays almost 50 characters in his time-honored retelling. Morella remains faithful to Dickens’ prose, imagery, and characterizations while imagining the novella with a different twist each year. A Christmas Carol: A Ghost Story of Christmas runs now – December 31, 2017, in the Mulitz – Gudelsky Theatre Lab of the Olney Theatre Center. Running time for the show is two hours with one intermission. Tickets and other information is available at Olney Theatre. This show is intended for ages 10 and up and is recommended.